Our philosophy of education is based on a « character first » approach. 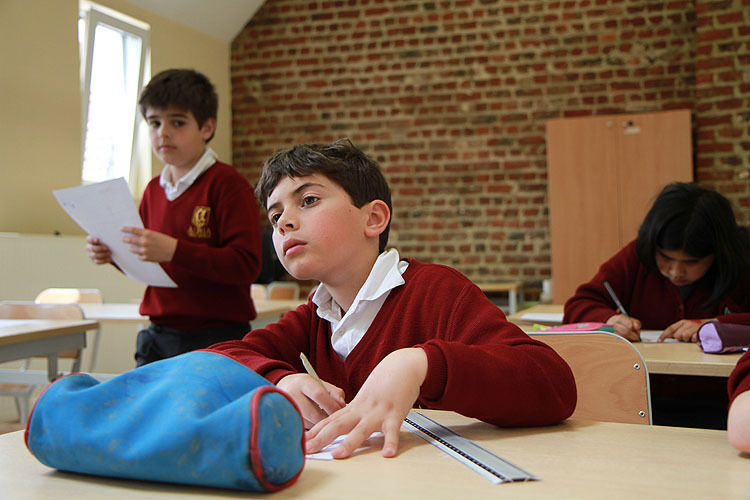 Our philosophy of education is based on a « character first » approach; that is, we strive to develop in children those qualities of greatness that will not only enable them to achieve their academic potential but will also help them in every other aspect of their lives at school and, crucially, after school. An all-round education: an uncompromising commitment to personal, academic, cultural and sporting excellence. 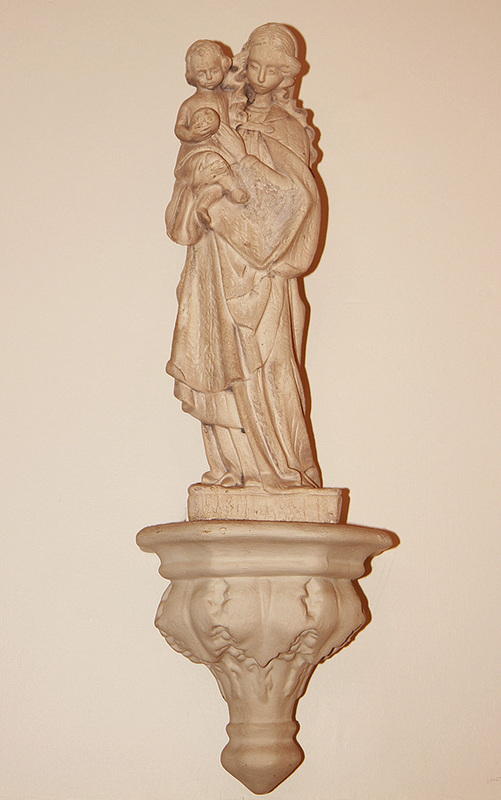 Growth in virtue within a Catholic ethos: children follow a programme of character development based on a Christian vision of what young children can and should become. A Partnership with parents: a practical working partnership with the family of each child where parents and teachers become allies in the shared endeavour of raising children of whom they can be proud. Agnes School recognizes that parents are the primary educators of their children. Through a personalised education system, we seek to integrate the pursuit of academic excellence, the acquisition of skills and the development of the pupil’s character. Agnes School is a family school, where the educational rights of the family come first. The school seeks to assist parents to become more effective educators of their children and to contribute their overall development. Agnes School teachers and staff are vital partners with parents in the child’s education. The basis of this partnership is a loyal and mutual understanding of each other’s complementary roles. The Personalised Tutorial System ensures that each child is helped to be the best person they can be. It facilitates the partnership between parents and school: the only way to ensure that children receive an effective and holistic education. Parent representatives help fellow parents to experience at first hand, the warmth, concern and interest that lies at the heart of the school. They take a genuine concern and interest in each of the families in their class and seek to connect personally with parents. 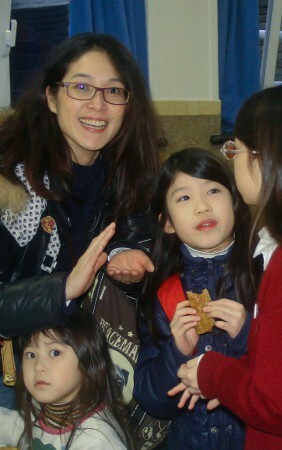 They welcome new families to the school and assist them with settling in. Parent representatives ensure that support for families is there when needed. 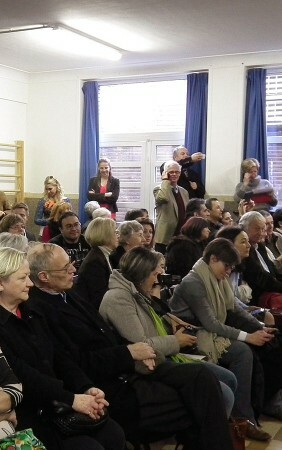 Parent représentatives act as a communication link between the school and the parents in their class. 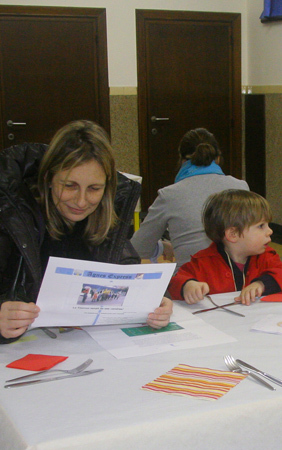 In addition, Parent représentatives facilitate discussion groups for the sharing of parenting ideas. Our philosophy at Agnes School is founded on a Catholic vision of human beings: we are all open to improvement and by doing the right thing we become happier in our daily lives. This is what is meant by virtue ethics: by cultivating the virtues (good habits) we can become better people i.e. to become patient I need to practice patience. And if we persevere, our character will improve. We also believe that this is one of the key aims of education; to enable our pupils to lead ‘the good life’. These virtues are taught within the context of a Catholic ethos by following closely the teaching of the Catholic Church. 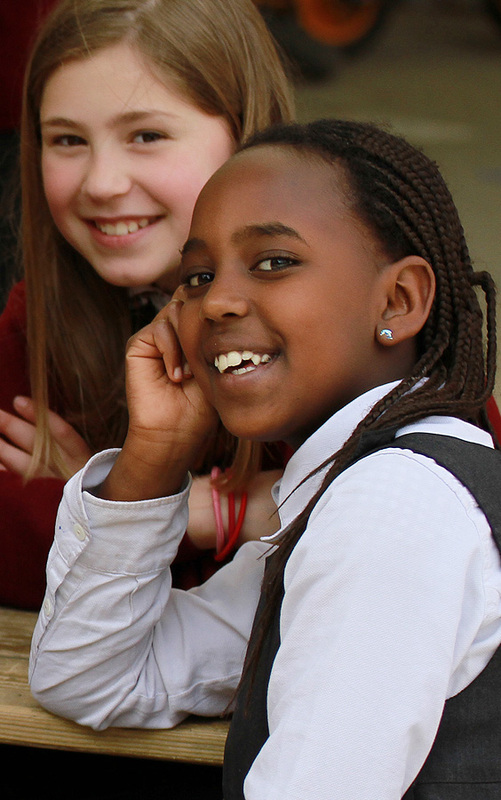 For this reason, fostering the development of human virtues is pivotal at Agnes School. Each person has certain duties to perform at home, at school and in the wider community. By adolescence, young people begin to hold their destiny and that of others in their hands. Action or inaction has consequences. An understanding of Justice will lead them to act correctly. The ability to judge what is right in each situation and follow a principled set of values. Development of personal strength which help us to pursue worthwhile goals..
All other virtues flow from these four. Working with parents, Agnes School aims to empower its pupils to become competent, responsible, considerate and committed young men and women. The Class Teacher and pupils discuss and reflect upon the virtue they are studying. A range of materials and resources are used to illustrate and explore each theme. The opportunity is taken, on a regular basis, to illustrate a specific point relating to the virtue Under consideration and/or to present some inspirational material related to that virtue. Material of particular relevance or interest can be exchanged. Parents have a wealth of personal experience and knowledge that can lead to the discussion of new ideas and topics. The spiritual development of the pupils at Agnes School forms an integral part of its philosophy of personalised education. Agnes School stresses the primary role parents play in their children’s spiritual development. Pupils, regardless of their particular religious faith, are encouraged to foster their relationship with God and to develop their spiritual life with a genuine spirit of freedom and commitment. This enables them to be enriched as human beings and to become outstanding adults. The Religious Education Programme we offer gives pupils the opportunity to acquire a deep understanding of the Catholic Faith and its practice. Intrinsic to this is the greatest respect for freedom of conscience. All pupils have Religion lessons covering topics such as the Sacraments, Moral Theology, Church History and Sacred Scripture. Mass is celebrated three times a week by the School Chaplain. Pupils have the opportunity to attend the Sacrament of Reconciliation regularly. Key Parent Functions are a major feature at Agnes School. They provide an on-going program to assist parents in the education of their children and in the dynamics of parenting. The core of Agnes School’s Charter of Educational Principles is a commitment to work with parents in the all important task of raising their children to become competent, responsible young men and women who lead their lives guided by strong moral principles. Whilst attendance at other parental events and activities is not compulsory, the Key Parent Functions form part of the ‘contract’ that exists between parents and the school. Attendance at these functions is therefore vital for parents enrolling their children at Agnes School, as it ensures that parents and teachers are united in their approach to the pupil’s academic and personal education. The focus in the Autumn term is on both academic performance and issues relating to the school’s general ethos. The Information Evening in September sets out the educational priorities for the year and provides an opportunity for parents to be reminded of the school’s broader goals. A meeting with the Headmistress takes place in the hall before parents split into year groups for more age-specific discussions. These meetings take place each term between parents and teachers and form the basis of all the academic goal-setting for the months ahead. Parents are also informed about their children’s performance in class and in national standardised tests. These termly meetings are between parents of junior aged children and their tutors. The aim is to discuss broader educational goals and to reflect on the child’s growth in the virtues. These take place in the Spring & Summer terms and cover a whole range of issues relating to the teaching of the virtues and to parenting in general. 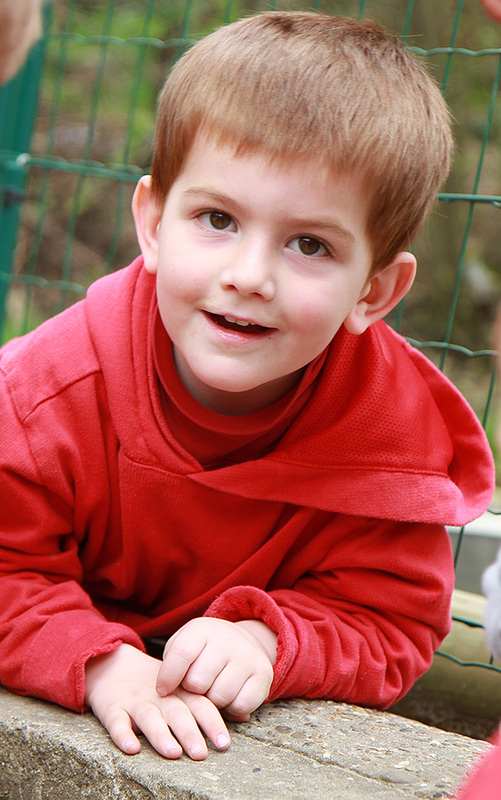 Helping children to develop social skills and friendships. The tutorial system has evolved from the philosophy underlying Agnes School; that parents are the primary educators of their children. The tutorial system has evolved from the philosophy underlying Agnes School; that parents are the primary educators of their children. Recognising this leads to a fundamental need to establish a close and constant link between the school and the parents. At Agnes School this contact is the tutor. The tutor’s task is to take a direct and personal interest in each individual child’s development. The principal area of education which the tutorial system addresses is the student’s character. Everything else, including academic results, flows from this. Academic results are part of a bigger picture. Indeed the curriculum as a whole is the primary means by which the virtues are taught at school. Agnes School’s aim is to work with parents in the education of the whole person academically, spiritually, culturally, socially and physically. Parents meet with tutors several times a year. Tutors also meet regularly with individual pupils. 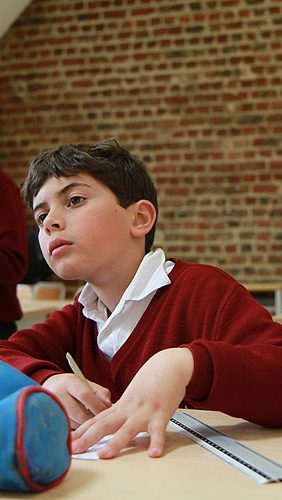 During the school years, character will be formed largely by a pupil’s approach to their school work. The tutor tries to use every opportunity to encourage the pupil to develop their character in a positive manner. They do this hand-in-hand with the school’s established virtues programme. We place great importance on our pupils contributing generously and compassionately to our wider society. We aim to foster an attitude of service. An essential key to full personal development lies in having individual goals. These goals must be appropriate, easy to remember, specific, achievable and easily evaluated. 3. The service of personal example, guidance and friendship towards the parent and the pupil. The greater the cooperation, confidence and friendship between the parents and the tutor, the more effective the help offered to parents in carrying out their role of directing the integral development of the child will be. The success of the Tutorial System depends upon trust and regular meetings with the tutor. 2. Organise the interview well ahead in good time. 3. Evaluate the previous parent- tutor meeting goals and consider whether they were successful or not. Were the goals realistic? Did your child know about the goal and consider it important? Were strategies in place to help them remember their targets? Have you yourselves come to a deeper understanding of your child through observing their efforts? 4. Discuss the broader issues. Use the forthcoming interview as an opportunity to assess character strengths and weaknesses, growth in personal responsibility and, the qualities you would like to see your child possess as an adult (optimism, generosity, self-direction, readiness to apologise, resoluteness). 5. Consider which virtues should be developed at your child’s current age. 6. Consider one or two aspects of your child’s physical, social, cultural or spiritual development. 7. Evaluate your own performance! Did you set a strategy for following up the goals from the last interview? Did you provide sufficient encouragement and incentives? Were you cheerful and optimistic? Did you set a good exemple? Did you follow through consistently? Do you as spouses have common expectations? 8. Be positive. Parents’ diligent efforts always bear fruit over time. Look on problems as opportunities. The quality of the review largely depends on prior preparation. The discussion will be much more productive and objective if considered in advance. The tutor will have discussed your child’s overall progress with their teachers and with the pupil themselves several times since your last interview. This may well include a review of the last report and topical issues in the school and class. Try to ensure that the parent-tutor meeting confronts issues relating to your child’s personal development and chaeacter. Your child’s academic motivation is, to a large extent, a consequence of personal development. This may be a matter of refining earlier goals, or restating them with a change of emphasis. Be aware that the same issues will recur in successive terms and even in successive years. If they do not, it could be a sign that agreed stratégies have not been applied correctly. However, resolving recurrent issues require realistic, specific, achievable short-term goals in order to make progress..
6. Develop a follow-up strategy. This may well involve discussing ways of helping your child take responsibility for personal goals, brief parent-tutor contact throughout the term, mother and child / father and child time together etc. Both parents and tutor should record goals and strategies. This makes it easier for parents to discuss the goals between themselves and with their child, to keep them high in their list of priorities, and to continue to offer their child encouragement. 1. Work together with your spouse. Talk about how your child is progressing. Discuss your own efforts to help them reach their set goals. 2. Implement the follow-up strategies. Discuss them with your child at the earliest opportunity and remember that it is your child’s goal, not yours. Them to take responsibility for it and evaluate their progress. motivating rather than only correcting and lecturing. 4. Link up with your child’s tutor whenever it may be useful. The tutor is there to help you. Call on them when needed. Discussions do not have to be limited to the meeting. Sometimes a quick call or a brief update can do much to increase the effectiveness of the tutorial system. 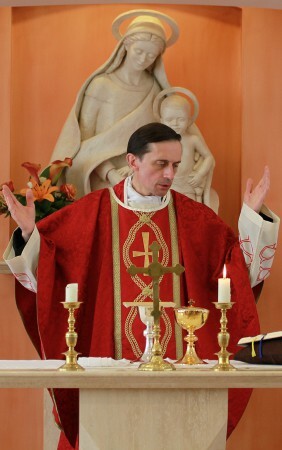 Our Chaplain celebrates Mass three times a week. The Sacrament of Reconciliation is available to the pupils on a regular basis. On Tuesday 12:35 pm; Wednesday 11:40 am and Thursday 8:35 am a mass is held at school for pupils and parents . We have a family mass one Sunday a month. Opus Dei is a Personal Prelature of the Catholic Church founded in 1928 by St. Josemaría Escrivá, who was canonized by Pope John Paul II in 2002. Its mission is to help people turn their work and daily activities into occasions for growing closer to God, for serving others, and for improving society. Within Agnes School and in concert with the local bishop, Opus Dei oversees the religious education and spiritual formation offered to the school’s parents, teachers and pupils. Visit the Opus Dei website for more information.